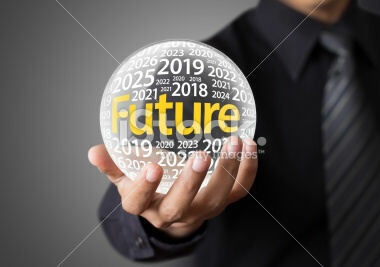 The Supply Chain Matters blog continues its series of unveiling 2019 Predictions for Industry and Global Supply Chains. In this Part Five posting, we highlight our prediction related to supply chain digital transformation initiatives in the coming year and the specific need for roadmaps and business use case support. 2019 Prediction Five: Supply Chain Management Digital Transformation Strategies Will Require Strategic Roadmaps and Specific Tactical Business Case Support. We predicted that in 2018, digital transformation timetables would accelerate because of compelling business forces accelerating such changes. Feedback that we received and assessments that we conducted pointed to loosening purse strings related to the ability to invest in digital transformation, but internal challenges related to skills and process readiness delaying meaningful investments. Teams essentially felt that they were not ready as-yet to embark on full-scale efforts without taking the time to address foundational needs. What is becoming more obvious is that innovation at-scale is no longer an option but a competitive mandate that will require more direct, hands-on executive leadership at the highest levels. For 2019, we predict that many broad-based supply chain management teams will require and seek more definite transformation roadmaps related to overall digital business transformation. Overall advanced process and technology investment efforts need to be guided by short- and longer-term line-of-business alignment needs. As we continually remind teams, business cases drive the technology agenda, while transformation team efforts manage to the transformation timeline. Technology, process investment and workforce decisions should be governed by short and longer-term timelines. In other words, teams will search for the most leveraged benefits for meeting short and longer-term needs. Technology and data architectures will thus have far more meaning, which will move investment decisions to more top-down consensus, with the top being line-of-business as opposed to functional. The needs for transforming to digital-based business models remains compelling, but with ongoing increased supply chain process complexities as well as business uncertainties in the coming year, prioritizing initiatives to the most compelling line of business and functional needs will be a dominant agenda. The digital transformation roadmap has to address both short and longer-term business outcome and process transformation needs while addressing action planning to augment organizational talent, data and process alignment requirements. The realities of budget are another factor, especially if interest rates, inflation and currency fluctuation risks continue to escalate in the global economy. Our sense is that up to this point, individual teams had for the most part, a bottom-up focus to digital transformative efforts. Our belief is that in 2019, the emphasis turns tops-down, with senior management steering mechanism orchestrating more direct leadership. Areas of prioritization will be, as always, business specific. As an example, businesses with predominant direct-to-consumer business models will likely prioritize omni-channel customer fulfillment transformation in areas of customer data mining, increased automation of pick and pack processes and overall logistics and transportation transformative processes. Likewise, logistics and transportation services businesses directly supporting online customer fulfillment will focus on similar investments including elements of artificial intelligence and machine-learning support for early warning and resolution of logistics network bottleneck. Manufacturing-intensive business will likely focus on edge operational systems transformation leveraging Industrial Internet, Internet-of-Things and Additive Manufacturing based technologies and processes. The business case will not be solely investing in the advanced technology but rather the compelling need to shore-up cyber and data-security defenses with more updated advanced technology including autonomous systems that detect data breeches or vulnerabilities. Equipment and capital equipment industries may prioritize Internet-of-Things enabled operational systems embedded in equipment to further drive operational management and maintenance business models that provide added revenue streams. This is an area requiring more robust data management and analytics capabilities tied to backbone operational and business systems. Pharmaceutical and food-based businesses may likely have higher prioritization to overall supply and demand network visibility and traceability to support needs for drug and food safety at the item level. Many other businesses will feel the need to dramatically step-up the synchronization of supply chain management business process and decision-making across product value-chains and external B2B supplier and key customer networks. This concludes Part Five of our 2019 Predictions for Industry and Global Supply Chains. In a subsequent posting in this series, we highlight our sixth prediction which is also a carryover, that being the multi-year transition toward digitally-enabled response networks.